School's out and let summer begin!! There is nothing like summer in the Blue Ridge Mountains of North Carolina. 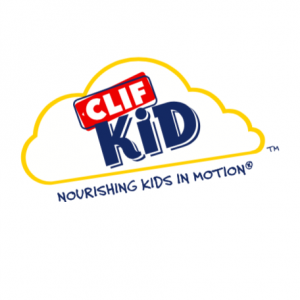 Kids are ready to get out, play, and explore all these pristine mountains have to offer. 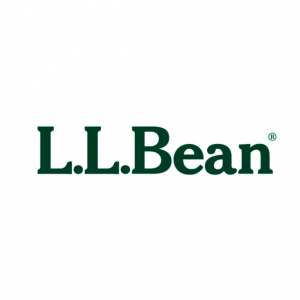 The perfect solution: The Little Bellas Asheville Tuesday Program! The Asheville Summer Program offers recurring, all-girl mountain bike riding sessions, Tuesday nights at Bent Creek Community Park in the Pisgah National Forest. Open to riders of all abilities, the main focus of each session is having fun! 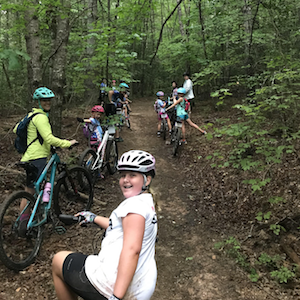 The program creates a positive environment for girls to learn riding skills and gain confidence through the sport of mountain biking. 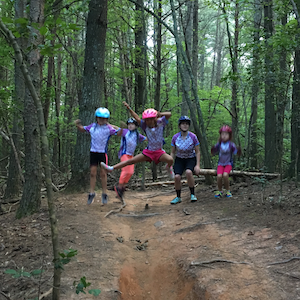 Using both trail riding and specific games both on and off the bike, the girls practice proper riding technique, eat snacks, and make new friends, all on Asheville's go-to mountain bike trails. Girls and mentors (we mentor, we don't coach) meet once a week, every Tuesday over the course of 8 weeks during the summer. 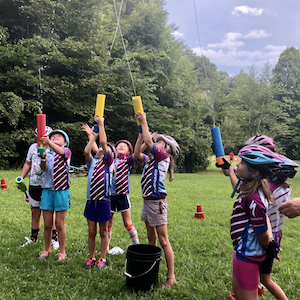 The goal is to get girls outside, out on trails, and out with other girls to reinforce common bonds and build confidence, all while progressively building mountain bike skills throughout the summer. • Water carrying device- Either a bottle to fit in a cage on the bike or a hydration pack. Sarah's love for the outdoors and mountain biking was born in the Upper Peninsula of Michigan and she has taken it to a whole new level, living in Asheville now. 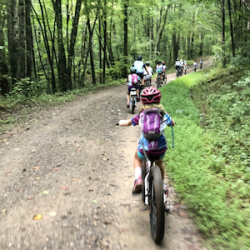 A special education teacher, who is passionate about working with kids, Sarah can usually be found on her mountain bike, ripping the trails. 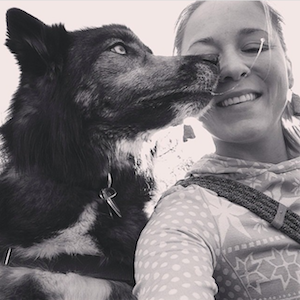 If she does take a break off the bike, she can still be found running or hiking the endless trails and mountains or cuddling with her dog and cat.